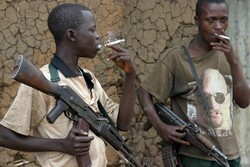 Many civilians have fled the Democratic Republic of Congo town of Rutshuru amid fresh clashes between regular and dissident soldiers - renegade troops who the head of the army announced would soon be disarmed by force. The International Criminal Court (ICC) has created a working body of law since its inception and the onus is now on States Parties to enforce the court's decisions, especially its arrest warrants, and bring in war crimes suspects so they can face trial, Deputy Prosecutor Fatou Bensouda said today. 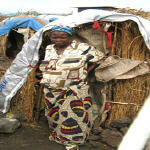 Nearly 3,000 households that were displaced between February and September 2007, following confrontations between the FARDC and the militia of the FNI, have now returned to their homes. 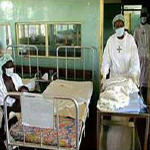 Health officials in the Democratic Republic of Congo (DRC) said an outbreak of Ebola haemorrhagic fever, which claimed the lives of 21 of the 26 people infected in the Kasai Occidental province, is now over. 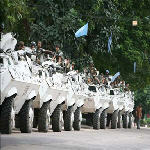 The United Nations peacekeeping mission in the Democratic Republic of the Congo (DRC) announced today that an independent investigation has begun into allegations of violent sexual abuse by a soldier serving with the force in the troubled northeast of the country. 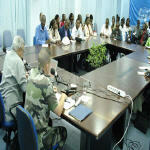 UNICEF and Save the Children, in collaboration with the United Nations Mission in the Democratic Republic of the Congo (MONUC) have secured the release of 232 children from Mayi Mayi forces over the last few days. 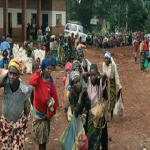 182 children were separated from the Mayi Mayi Baleine Brigade in Beni, North Kivu last week. Their release follows an intensive media and outreach campaign on the non-recruitment and non-use of children by armed groups. 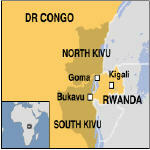 Democratic Republic of Congo's war-ravaged province of South Kivu has been plunged into a political crisis after the governor rejected the provincial assembly's decision to sack him for mismanagement. The governor of South Kivu region in eastern Democratic Republic of Congo has been impeached for failing to protect the state from violence. 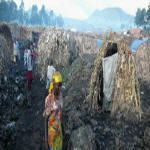 People have been returning to camps for displaced people (IDPs) in the Democratic Republic of Congo's North Kivu province after fresh fighting near the main town of Goma prompted up to 40,000 to flee. 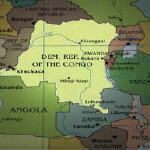 Analysts have welcomed the latest in a series of agreements between the governments of Rwanda and the Democratic Republic of Congo (DRC) aimed at resolving the perennial threat to regional stability posed by the armed groups in eastern DRC.